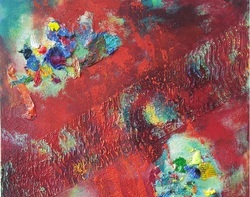 I am an abstract artist living and working in Tennessee. Working in acrylics and mixed medias, I like to use unconventional materials - objects and items that would otherwise be discarded - to add texture and life to my artwork. ​ - "Cover the canvas at the first go, then work at it until you see nothing more to add."